Robert C. 52 an attorney from Manhattan experienced debilitating chest pains. Robert knew he was not in good health, every 5 steps he took he had to take a break to catch his breath and felt pressure on his chest every day. Robert didn't want to get out of bed each day, he became very depressed and worried about what was going to happen to him and his caring wife if he was no longer alive to provide for her. Robert went months with this pain until he could not take it anymore, he shared his condition with his loving wife. She urged him to go to the hospital and get checked out. After a few tests, the cardiologist assigned to Robert informed him he had heart disease. He had an 80% blockage in one artery and two other arteries had 60% blockages. Robert's doctor informed him of two solutions, triple by-pass or diet change to a plant-based one. Robert was very lucky to have a doctor that even knew about plant-based diets to prevent heart disease. Robert decides to go home and talk it over with his wife. After deep reflections, they decided to go with the plant-based diet. With the push of his wife, Robert decided to find a great holistic doctor near him while still working with his cardiologist to monitor the results. Robert and his wife did their research online and decided to go with Patients Medical Holistic Center, it's the oldest holistic center in New York. It’s run by Dr. Gulati, a very famous holistic Doctor. 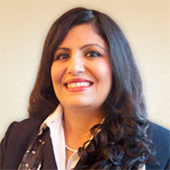 Dr. Gulati is a Board Certified Holistic Internal Medicine Practitioner with two MD's - one each in Internal Medicine and Pathology. Dr. Gulati has over 20 years of medical experience and has hospital privileges at Mt. Sinai Hospital in Manhattan. Robert came in to meet Dr. Gulati for a consultation, Dr.Gulati went over all Robert records from his cardiologist. Dr. Gulati also gives Robert some regular tests along with a Genetic DNA test which returned some very detailed genetic DNA results that were very useful. After all, tests were back Dr. Gulati put Robert on a low saturated fat plant-based nutrition diet that can help reverse or prevent heart disease and a regiment of pharmaceutical grade supplements. The doctor also put patient on a regimen of 20 Chelation treatments to help reduce the blockage in his heart, This was coordinated with parallel consultations with the Cardiology Department at the Hospital. Robert discovered that after three weeks he no longer had angina. Within 4 months his cholesterol number was lower from 310 to 120 and he lost 42 pounds, Go, Robert! When Robert went back to see his cardiologist he was impressed with Robert progress and took Robert off his Blood pressure, cholesterol and cardiac medications. Robert now says his energy level is way up and feels he has a new lease on life. Robert plans on spending many more years with his caring wife. Robert didn't stop there he decided to give back by reaching out to other heart disease patients to share his story with them because if he could reverse his heart disease anyone could with the right information. The first thing Robert tells them is to go see Dr. Gulati at Patients Medical Center. At Patients Medical Holistic Wellness Center we believe in working to identify the root cause of your medical problem so we can eliminate it forever (if possible) from your body. Our physicians combine the best of conventional and holistic medicine with state of the art equipment to provide comprehensive care and treatment to their patients. The heart is the life spring for the human body. This downward pear-shaped muscular organ, set behind the breastbone, functions as a specialized pump, delivering oxygen-rich blood from the lungs to the cells, tissues, and organs throughout the body, while recirculating deoxygenated, carbon dioxide-infused blood from the body back to the lungs. With each new beat the right side of the heart pumps carbon dioxide-saturated blood into the lungs. With each inhaled breath, fresh oxygen is exchanged with the carbon dioxide, enriching the blood with life-sustaining oxygen. Each exhaled breath expels carbon dioxide—the toxic by-product of the metabolic processes that our cells and organs continually undergo—and readies the lungs to take in new oxygen. Simultaneously, with each beat the left side of the heart receives from the lungs oxygen-rich blood and pumps it into the circulatory system, delivering oxygen to the body. With every beat and with each breath the heart miraculously performs this life-sustaining exchange, repeatedly thousands of times a day, barely skipping a beat. When it does miss a beat, it may be the sign of deeper problems that should never be ignored. Heart disease is a disruption of this miraculous process. The health problems that arise from it can be either immediate and life threatening, or manageable and reversible with therapy or lifestyle changes. The heart is essentially a specialized muscle consisting of four chambers, blood vessels feeding into and out of the chambers, and valves that regulate flow between the chambers and into the circulatory system. Problems can occur in any of these chambers, valves, or blood vessels. Accordingly, there are different types of heart disease. Regardless of the type of disease, it is always a serious problem when the vital pumping function of the heart is affected. By the time heart problems are detected, the underlying causes may already have reached an advanced state, sometimes having progressed for decades. For example, atherosclerosis of the coronary arteries, the build-up of plaque in the arteries feeding the heart muscles themselves, occurs through a slow cumulative process that ultimately weakens the heart muscle and damages the heart. Because the heart compensates for the decreased blood flow, symptoms of this life-threatening problem may appear only after significant plaque has accumulated and damage has been done. Untreated, atherosclerosis can block the vessels feeding the heart, causing the heart to fail. Because many heart conditions are manageable, if not avoidable altogether, the practitioners at Patients Medical place an increased emphasis on the prevention of heart disease and developing an approach to modify the risk factors once signs of a problem appear. Department of Health and Human Services / National Institutes of Health / National Heart, Lung, and Blood Institute. 2009. How the heart works. Anatomy of the heart. URL: http://www.nhlbi.nih.gov/health/dci/Diseases/hhw/hhw_anatomy.html (accessed 04/13/2010). Department of Health and Human Services / National Institutes of Health / National Heart, Lung, and Blood Institute. 2009. What is atherosclerosis? URL: http://www.nhlbi.nih.gov/health/dci/Diseases/Atherosclerosis/Atherosclerosis_WhatIs.html (accessed 04/13/2010).